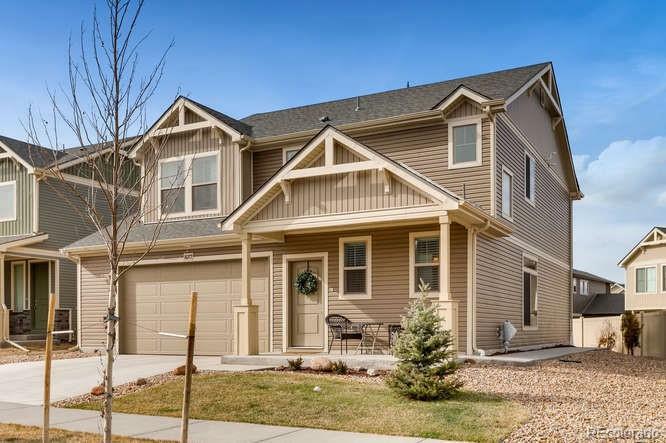 This incredible 2-story home boasts extensive builder upgrades throughout (upgraded appliances, granite countertops in kitchen, central air, engineered hardwood, fireplace, brand new upgraded carpet) and sits nestled on a quiet street, minutes from the A-line light rail, 20 minute drive to downtown, and a 15 minute drive to the Denver airport - perfect for anyone who travels often or works in downtown Denver. 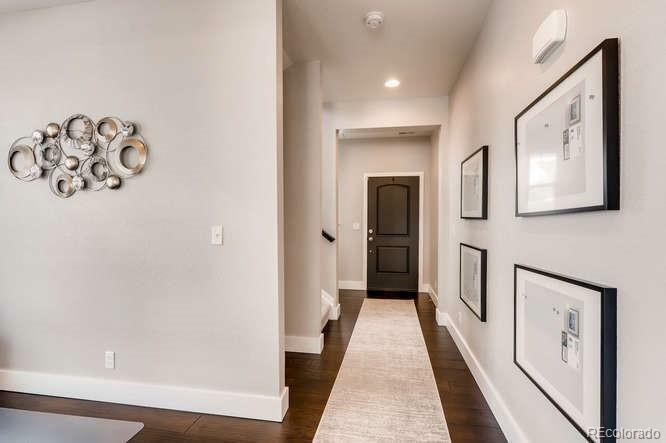 The first-floor hallway leads to a flex space that could be used as a study or formal dining room and opens up to the great room and stunning kitchen with an oversized island and walk-in pantry. 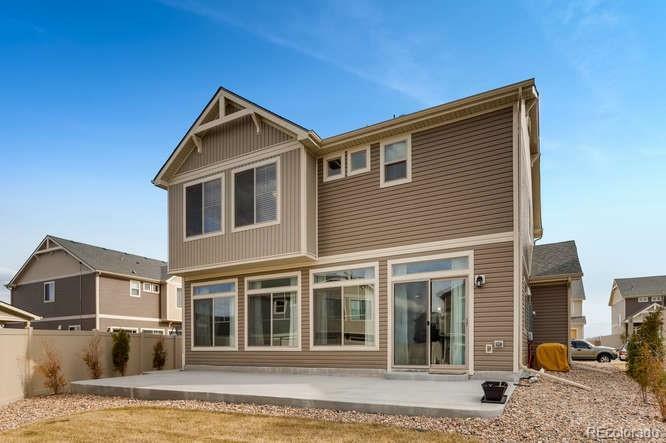 Three bedrooms up, including the master suite with a large walk-in closet. Upgraded WiFi garage door opener and smart thermostat can be controlled from phone. Home faces South, so no snow shoveling required! Pet-free. 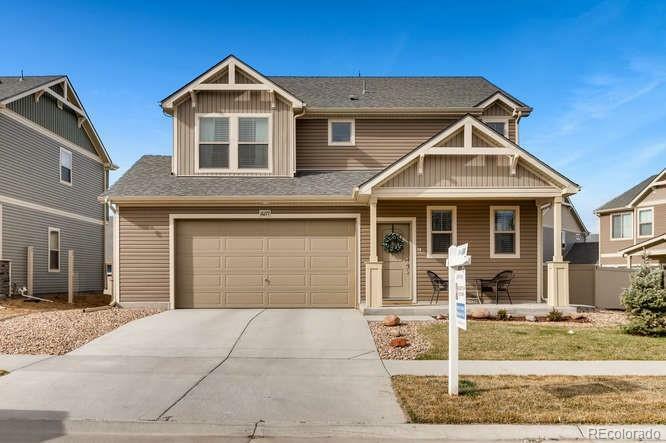 Schools are within walking distance. This area is continuing to grow with new businesses and homes every day! Be sure to take a look at the 3D tour that is provided! Offered by 360Dwellings Real Estate.